The Israeli Prime Minister, Bibi Netanyahu, is both loved and loathed – if not quite in equal measure – then perhaps with an equal intensity. Recent polling suggests the Bibi admirers are outnumbered by the ‘anyone-but-Bibi’ and ‘I can’t make up my mind’ voters by a ratio of 2:1. The core of Netanyahu’s political fan base, those erstwhile loyal foot soldiers of the populist Likud Party look up to the Israeli Prime Minister with near royal deferential adulation. It’s not for nothing that the Israeli Prime Minister is known locally as King Bibi. They heap praise on his ability to strut the international stage with – in their eyes at least – his legendary chutzpah, effortless charm and of course that perfectly spoken English – an English delivered without a hint or trace of an Israeli (Hebrew) accent. Netanyahu’s local critics and detractors, whatever their political differences, also tend share a sneaking regard for the Prime Minister’s communication skills, not least, once again, for that perfectly polished English delivered with an impeccable smooth (Philadelphia) American accent. Netanyahu of course spent six years of his childhood and teenager life in the United States. Israeli (Jews) tend not have local or regional Israeli accents. They do however have a variation in accent depending on where they (if they were) born abroad or where their parents were born abroad. The geography of accents is less local than they are international. Whatever the differences in local accents when speaking Hebrew, Israelis of all political persuasions tend to gently mock a local typically heavily thick accent of a native Hebrew speaker when speaking English. An attempt to articulate a clipped clean “Israeli” somehow gets stretched and deepened into an occasional incomprehensible and guttural spitting “Vizzz-whayleee”. Perhaps it is for this reason that the Israeli state, or the institutions of the state have a habit of pushing native English speakers out into the forefront of international media communication. It surely makes sense, no? Think Mark Regev, the Australian born Israeli Ambassador to London, who for the best part of a decade was the Israeli Government spokesmen, or Micky Rosenfeld the heavily London (Finchley born) accented spokesperson for the Israeli Police Force. Presumably the choice of or fondness for these perfect if diverse English accented spokespersons is done in the belief that this is a clever or effective communication strategy? No offense to Mark or Mikey or indeed Bibi, but news alert to Israelis – including the Department of Hasbara (Propaganda) in Jerusalem – it’s not. There is no other way to say this, but all those perfect American, English Australian or (god forbid) South African English-speaking accents reinforces a stereotypical prejudice of Israel as the ultimate colonial Western state. Heavily accented or not, the local “Vizzz-whayleee” Hebrew infused English retains an authentic aural attraction. Mr Regev and Mr Rostenthal were, are, consummate eloquent communicators for the Israeli state. But quite frankly the overuse of native English speakers gives the impression as if everybody arrived just yesterday from New York, Florida, London, Johannesburg or Melbourne. There is no escaping that a South African accent in particular has an unfortunate, undeniably and uniquely unhelpful association. All these native English speakers reinforces another not uncommon foreign misconception (and little known to Israelis) that Israelis actually speak English and not Hebrew as their daily lingua franca. They of course do not, and never have. The later misconception is not helped by the understandable practice of English speaking foreign news crews seeking out English speaking Israelis when interviewing in Israel. These foreign TV interviewers invariable end up speaking to native English speakers. The fact that not an insignificant proportion of these interviewees (for obvious news worthy reasons) tend to be ‘Settlers’ living in the West Bank and an accidental linguistic convenience reinforces a widely held additional erroneous belief that many, if not most, Israelis are both native English speaking and “Settlers”. 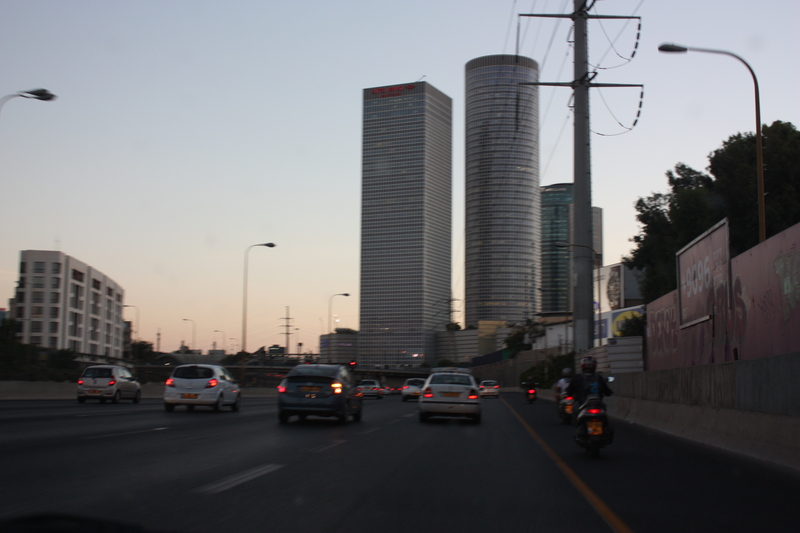 Greater Tel Aviv home to more than two in five Israelis, three and half million tends to get overlooked by the foreign media. Gay Pride being the exception. The numbers speak for themselves. There are in fact just 80,000 North American born Jews living in Israel. (Less than 1.5% of the Israeli Jewish population). That’s actually half the estimated 150,000 Israelis who have left Israel to live in the United States. Some put that figure at 250,000 or more. There are also an estimated 20,000 Jewish Brits living in Israel. Put in context, there are over 600,000 Moroccan born Jewish Israelis or Israelis of Moroccan descent living in Israel. There are a further 700,000 Israelis of Iranian, Iraqi, Yemeni, Algerian or Tunisian heritage. Whatever about past Israeli Government or Israeli Police spokespersons, there has never been of course an Israeli Prime Minister of Moroccan, North African or Middle Eastern heritage, but that, as they say, is a whole different political story. Advice (to Jerusalem) – Less polished English, more local “Vizzz-whayleee”! It’s no accident and widely accepted that part of the phenomenal charm and success of Wonder Woman (Gal Gadot) is her endearing gentle, Israeli or Hebrew accented intonation and inflection. I definitely like the Israeli accent in English !